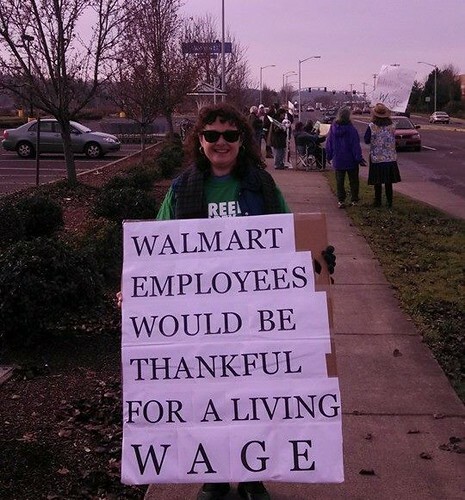 Mary Addams, Hali Burley Price, and many more GREEN ACTIVISTS occupied the sidewalk in front of the Eugene Walmart on west 11th. Please join Mary Addams, Hali Burley Price, and many more GREEN ACTIVISTS on the sidewalk in front of the store. You can make a sign and show up, too! Make Walmart feel a pinch on one of its biggest shopping days. This is about SOCIAL JUSTICE.